If you’d like to meet Donald Duck, visit the Mexico Pavilion in Epcot. El Pato Donald is fresh off his concert tour with the Three Caballeros, still wearing a colorful sombrero. Here are 5 things you might not know about this plucky duck. Donald Duck is nearly six years younger than Mickey Mouse. 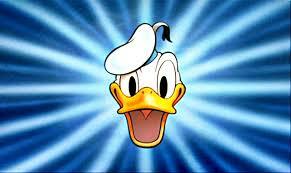 Donald’s birthday is June 9, 1934, making him nearly six years younger than Mickey Mouse. Unlike Mickey, who was originally going to be called Mortimer, Donald’s moniker has always been the same. But Donald has something that Mickey doesn’t have: a middle name. Though Donald might not want people to know what it is; it’s Fauntleroy. Donald has flat feet, which you might have guessed because he’s a duck after all, and he’s also color blind. Donald is part of a pretty large duck dynasty. He of course has a trio of famous nephews, Huey, Dewey, and Louie, and he has an equally famous uncle, Uncle Scrooge. But Donald also has a cousin, Gus Goose, and a grandmother, Elvira Coot. Not to be outdone, Daisy has a set of triplet nieces: April, May, and June. Like Mickey Mouse, Donald Duck has a star on the Hollywood Walk of Fame. Donald received his in 2005. But Donald has one honor that Mickey doesn’t have. Donald is a mascot for a college athletic program. Donald serves as the fighting duck mascot for the University of Oregon, whose team is officially known as the Ducks. The Oregon Duck looks like Donald Duck, but he wears a different-colored sailor’s ensemble. How did this come to be? In the 1940s, the university had live ducks, which they usually named Puddles, take turns patrolling the sideline during games. But the university decided it wanted a consistent duck image instead. The school’s athletic director at the time, Leo Harris, was a friend of Walt Disney’s. Disney gave Harris permission for the university to use Donald Duck as its mascot, provided it was in done good taste. By the way, of the Three Caballeros, Panchito Pistoles (the rooster) is the only true Mexican character of the trio. José Carioca (the parrot) is from Brazil, and of course Donald is from the good ol’ USA. About the author: Tim Foster is the founder and editor of Celebrations magazine—discovering the magic of Walt Disney World—and the author of the Guide to the Magic book series, including the Walt Disney World Guide to the Magic for Kids. Thanks Tim for your Donald Duck trivia. Is is hard to believe now but Donald was more popular than Mickey Mouse at one time. I love your Celibrations magazine, I have been a subscriber from is first issue. Is is I think the best Disney Magazine made. I love you and Lou’s top ten too! Keep up the great work! Your one of the best!